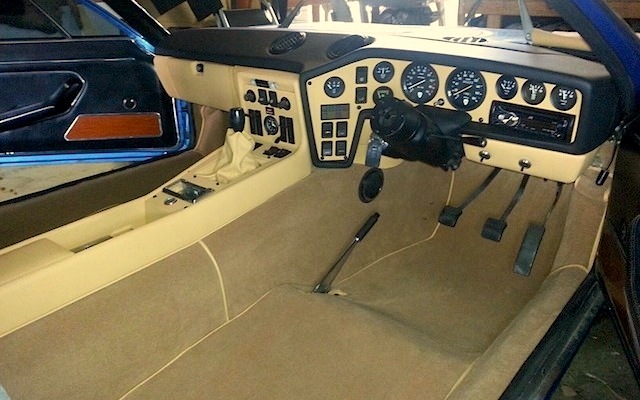 Over the last two months, we’ve followed master trimmer Brent Parker of Brent Parker Motor Trimming in Glenorie, Australia as he restored and customized the interior of a rare 1974 Lamborghini Espada — transforming it from boring to beautiful. 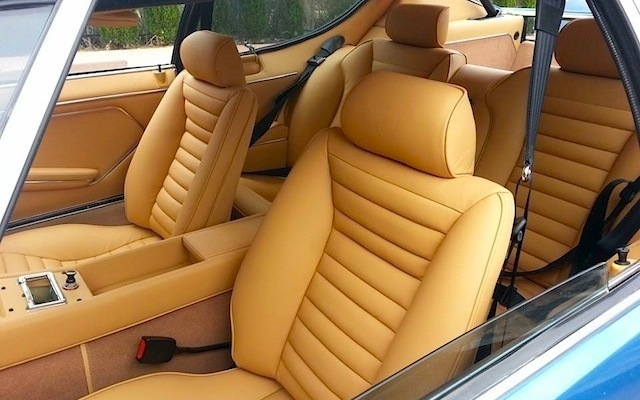 In part one of our four-part series, we saw Brent tear down, rebuild and wrap its dashboard and console in stunning beige Napa leather. In part two, he showed us how he restored its foam seat cushions, trimmed its seats and embossed its headrests with Lamborghini emblems. And in part three, we followed Brent as he recovered its door panels and adorned them in flawless French seams. In the fourth and final installment of our series, Brent shows us how he handcrafted the luxury supercar’s carpet, headliner and hood lining. And, finally, we take a look at the complete project. 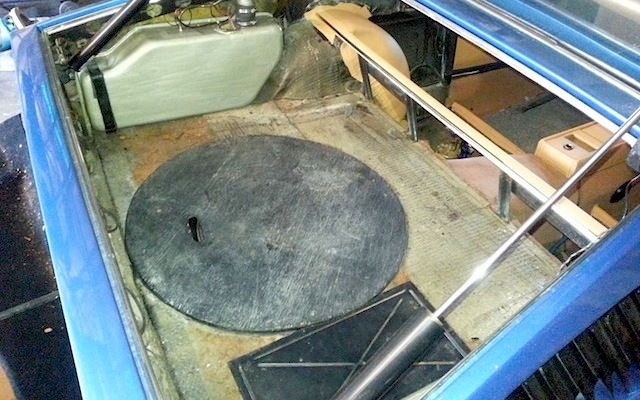 Brent took no shortcuts in trimming any aspect of the Espada’s interior — so he certainly wasn’t going to start with the carpet. 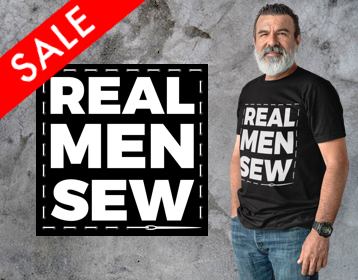 He did some serious preparation work to ensure it met his customer’s high standards. 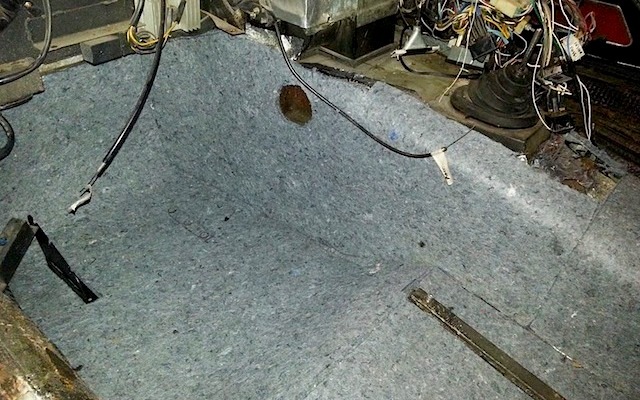 After installing Dynamat, Brent added a second layer of insulation by covering the floor with carpet jute padding. Brent turned to Wilton Wool III carpet to find the perfect shade of carpet to match the beige Napa leather he used throughout the rest of the cabin. 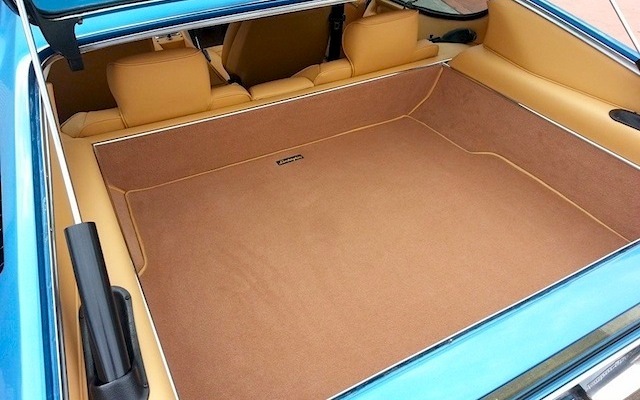 “I find it a really nice carpet to work with and I used about nine or so yards including the trunk,” he explained. Brent began the install by wrapping the transmission tunnel. No detail was overlooked. 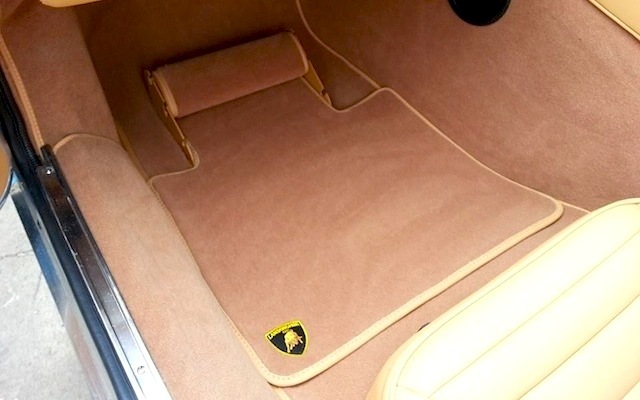 Take note of the passenger-side footrest trimmed in wool carpeting and the beautifully embroidered Lamborghini emblem on the floor mat. 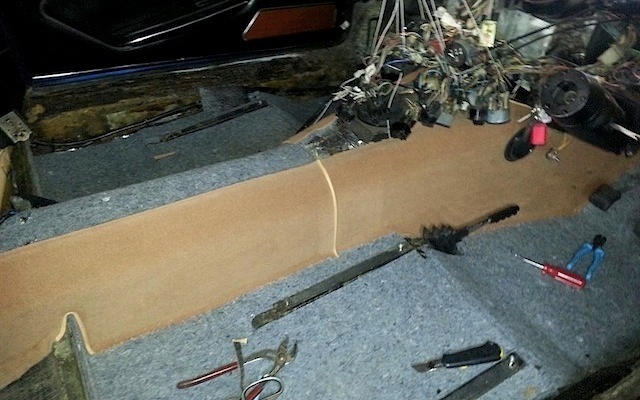 Of course, the cargo hull had to be carpeted as well. 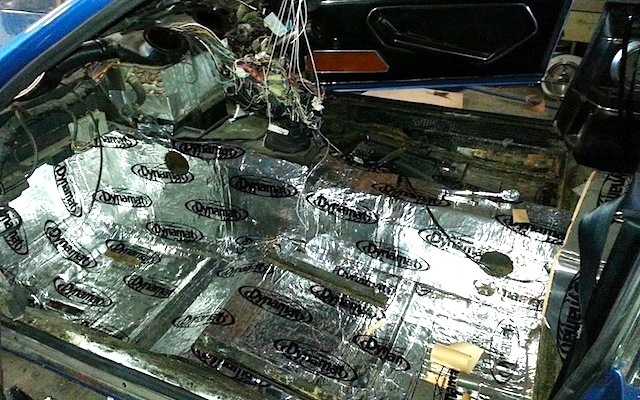 Believe it or not, the hood lining of the Espada was originally upholstered in diamond-pleated vinyl —which Brent completely redid. 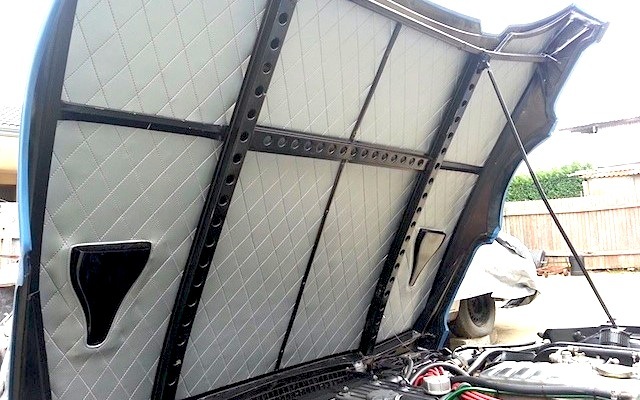 While the headliner was upholstered in off-white perforated vinyl, the sunvisors were covered in the same beige leather used throughout the rest of the cabin. However, Brent had to customize and trim the visors from scratch to accommodate mirrors that were not originally equipped in the car. In the end, all of Brent’s hard work paid off. 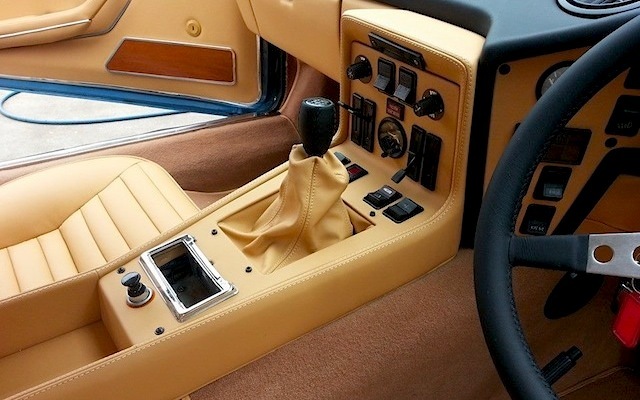 The 1974 Lamborghini Espada was a jaw dropper! 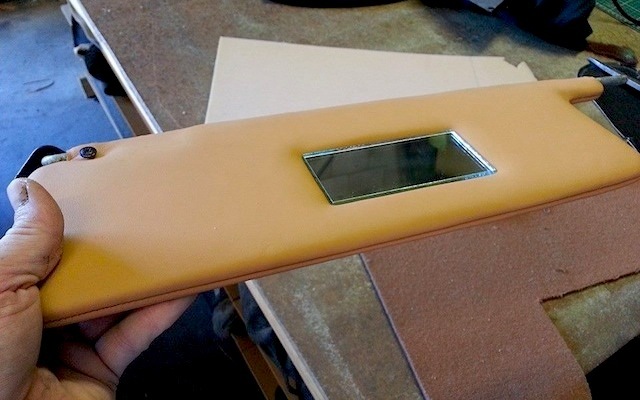 Altogether, it took Brent 225 square feet of leather, 400 hours of labor (split into five 80-hour weeks) and a lifetime of hard-earned expertise to complete — and the customer was ecstatic! 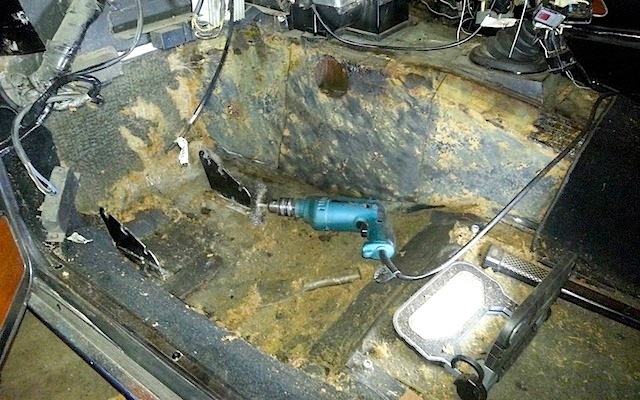 While Brent specializes in restoring antique and exotic vehicles interiors, he’s no one-trick pony. In fact, he recently showed that he’s just as adept at working on custom hot rods when he crafted an award-winning one-off interior for a 1965 Ford Falcon. No doubt, his diverse skill set is one of many reasons car collectors from near and far seek his work. To see more of Brent’s work and keep up on his latest projects, follow Brent Parker Motor Trimming on Facebook. He’s currently working on an extremely rare 1978 Aston Martin Oscar India, and next up is a 1949 Daimler Special sport — the only one in the world! Exactly what I was thinking. Must have been a great customer to understand it took 400 hours. Well he does own a rare Lamborghini, so I’m not so sure money is an issue in this case. Stunning workmanship Brent, it looks amazing mate , is the layout exactly as it was from factory or have you modified anything please ? Nice job Brent – did a similar job on a 1965 (?) Lambo Miura. very complicated and intricate and took about the same amount of time, maybe a bit more due to lots of restoration of seat buckets and other small details. 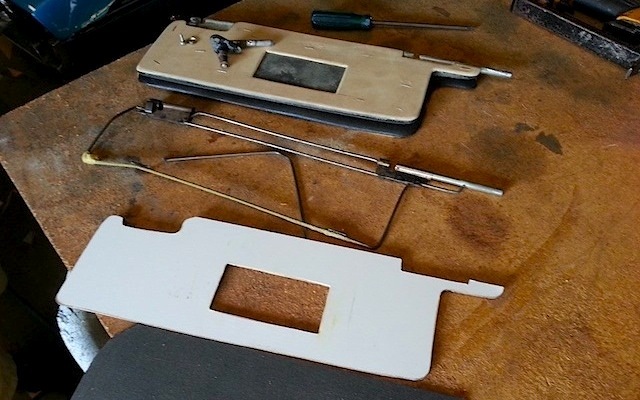 Actually had to have some door panel trim pieces 3D Printed as they were missing and unavailable. Again, beautiful job!